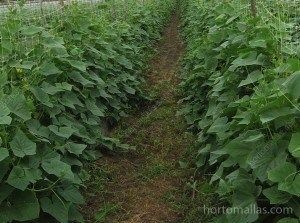 Cucumber net increases plant density as the cucumber vine grows vertically by itself, with little or no need for manual tutoring. 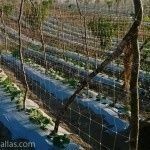 The reduced intervention of labor for fastening the plant to the HORTOMALLAS Gherkin net as compared to the raffia twine or stand alone post/pole will also 1) improve phytosanitary conditions as the plant will not be subject to mechanical stress during tying (stress that reduces plant yield as the plant tries to re-accommodate its leaves) and 2) reduce mechanically transmitted pathogens (worker´s hands as the vectors) from sick plants to sane ones. 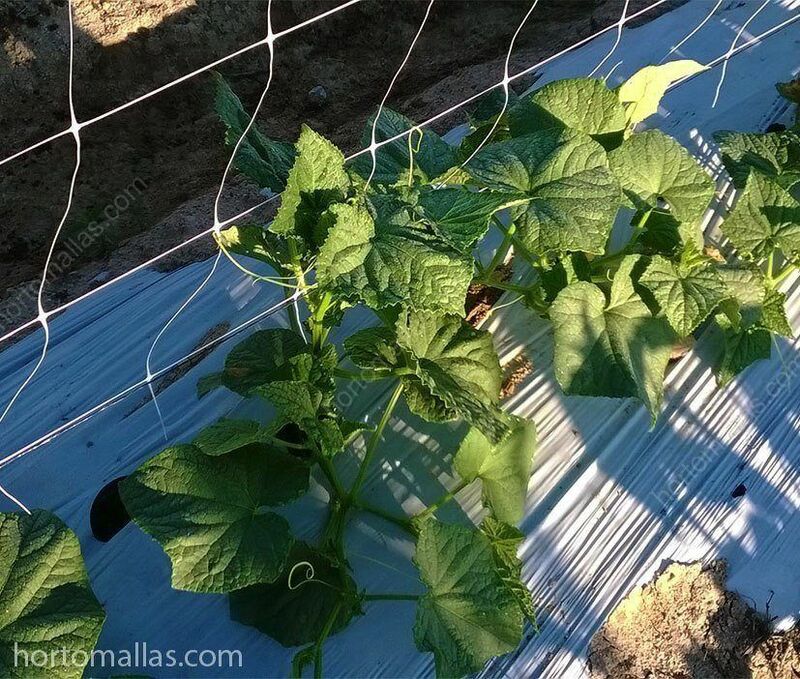 This cucumber trellising system works great both in greenhouses or in the open fields as HORTOMALLAS takes advantage of the cucumber tendrils´ nature to attach to the support netting either horizontal or vertical threads of the mesh. 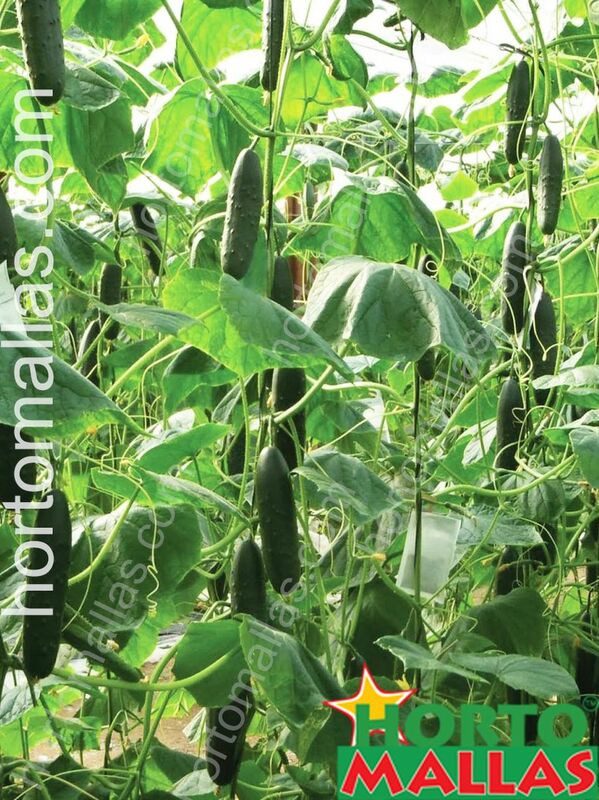 Trellising with HORTOMALLAS gherkin support net makes your job easier and increases cucumber yields. Tips: Reuse the same investment in field structures like cucumber net implementing a nitrogen fixing crop rotation schedule. 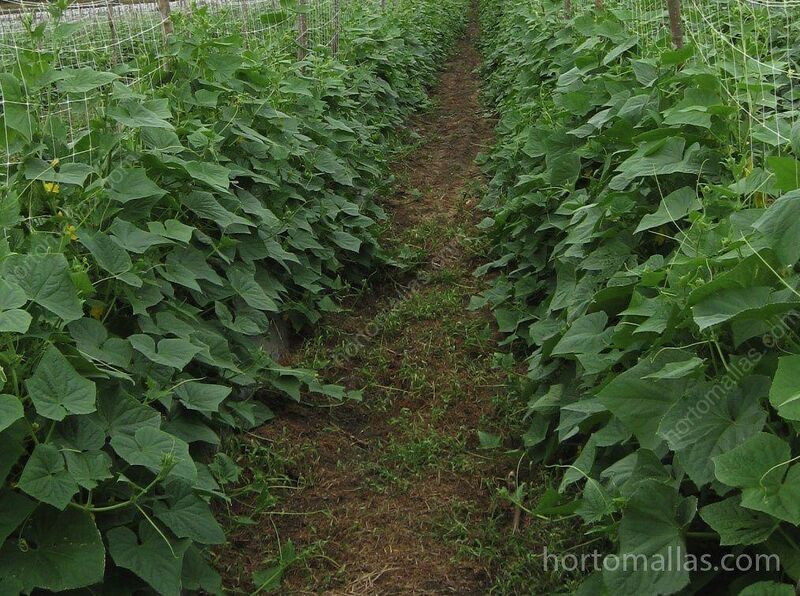 Crop rotation is made easy with the use of HORTOMALLAS cucumber net. 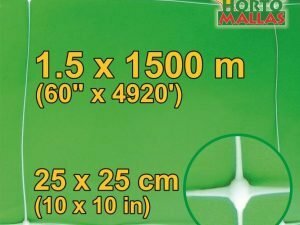 Just leave the netting and stakes in the ground, and replant! Each time a plant is handled, pruned or tied to the support system it will cause a few days of stress. 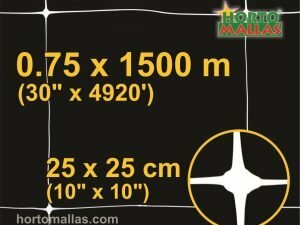 During this re-adjustment period, instead of feeding its fruits at full efficiency, the plant will send its nutrients to the foliage so that it can reposition itself efficiently (there are mathematical models that prove the efficiency of the natural leaves´ alignment to the sun). During the pruning work and manual guidance of the plant, we increase the risk of contagion, especially virus, due to the handling of the workers, whom without knowing, could be transmitting a pathogen mechanically from plant to plant like any harmful insect. 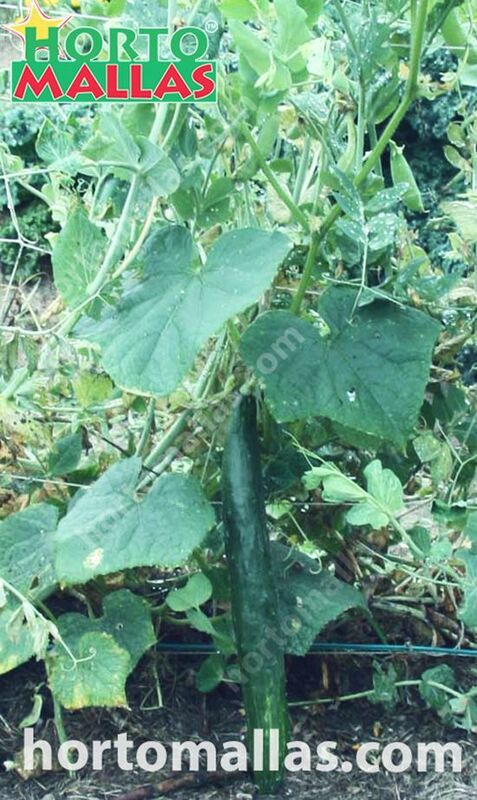 Cucumber nets allow better aeration and less humidity buildup which leads to larger vegetables. 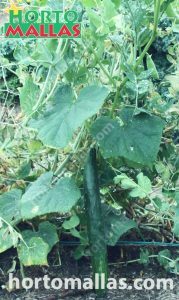 Rather than growing cucumbers of a vertical twine, it is desirable to use a cucumber net as these vegetable prefer a wider area to attach to and grow. 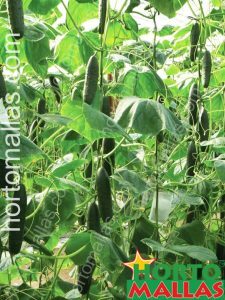 Cultivating the type of determined bushy plants, like eggplant, tomato, chili and peppers, many growers decided to guide/tutor their plants with two “walls” of netting, one on each side of the furrow, therefore creating a growing system where the branches will be supported on their own without any need for manual tutoring. 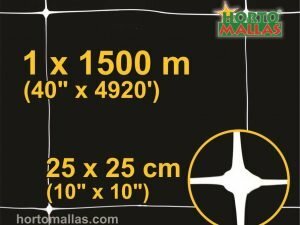 With this system , the lower string of the bottom mesh nearest the soil on one side of the plant is tied gently (leaving about 4-10cms, 2-4 inches in between the two nets) with the lowest string on the other side (this job is done when the plant is about 40 cm in height, 16 inches). 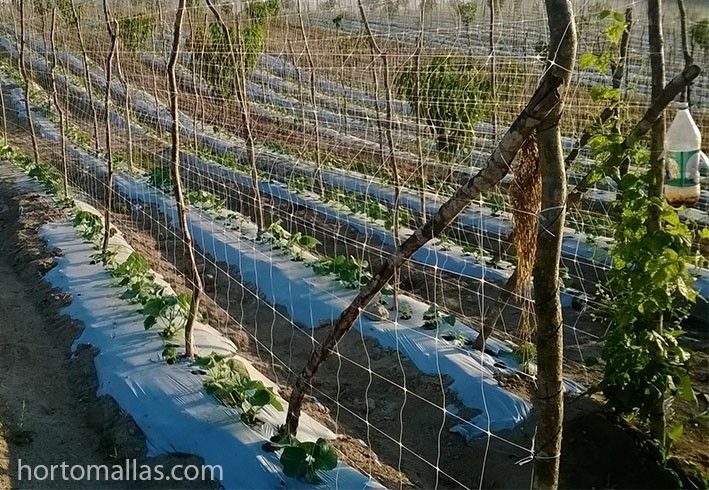 As the plant keeps growing, the distance in between the two walls of net also keeps increasing (30-60 cm) so that each higher branch will be supported by the nearest mesh and be able to reach full vegetative development. By allowing the plant to grow at 360 degrees, and to fully express its vegetative vigor, it will allow any fumigation to reach vegetable matter and leaves far into the plant mass so that the chemical may attack the targeted pathogens effectively and therefore reduce the recurrence of diseases and further chemical uses.